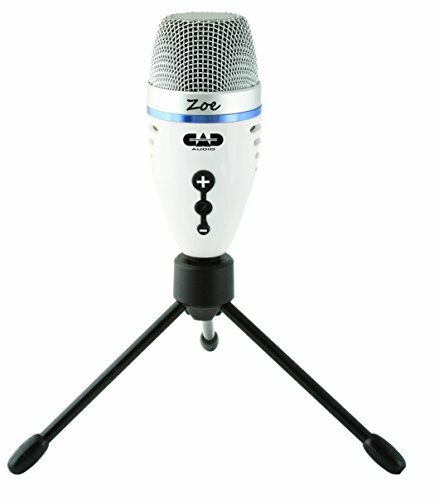 CAD Audio ZOE - USB Condenser Recording Microphone with TrakMix Headphone Output by CAD Audio at Debbie Dee Music. MPN: ZOE. Hurry! Limited time offer. Offer valid only while supplies last. CAD Audio Zoe usb microphonewith TrakMix TM headphone monitoringZoe leaps onto the scene of your Usb creative endeavorswith style and expression. Andrea Communications SG-100 Unidirectional Shotgun Microphone in Retail Packaging.